Professor Paxton is a qualified Clinical and Health Psychologist, Past President and Fellow of the Academy for Eating Disorders, Past President of the Australia and New Zealand Academy for Eating Disorders, and an internationally recognised researcher in the field of body image and eating disorder prevention. Professor Paxton leads the EMBodIED Research Team and is involved in all current studies and supervision of most students. Dr Laura Hart is an Australian Rotary Health Postdoctoral Research Fellow. She completed her PhD at the University of Melbourne, co-supervised by Prof Tony Jorm and Prof Paxton. She has been working in the field of public mental health research since 2007. She is a member of the Academy for Eating Disorders, Australia and New Zealand Academy for Eating Disorders, National Eating Disorders Collaboration, Alliance for the Prevention of Mental Disorders and Society for Mental Health Research. Dr. Hart is leading the Confident Body, Confident Child study. Dr Damiano is a Postdoctoral Research Fellow. She completed her PhD at RMIT University in collaboration with the Centre for Adolescent Health at the Royal Children’s Hospital, with the aim to better understand anorexia nervosa in adolescent females. She is a member of the Academy for Eating Disorders and Australia and New Zealand Academy for Eating Disorders. Dr Damiano is currently working on projects to understand the development of children’s body image and evaluating the Achieving Body Confidence for Young Children program. She is also collaborating on the Confident Body, Confident Child research. Dr McLean is an Honorary Research Fellow at La Trobe University and a Lecturer in Psychology at Victoria University. She completed her PhD at La Trobe University which focused on understanding the role of media literacy in the prevention of body dissatisfaction in adolescent girls. Dr McLean’s current research involves evaluating social media literacy interventions for young adults and body image and supplement use prevention interventions for adolescent boys. She is a member, and Secretary, of the Australia and New Zealand Academy for Eating Disorders. Dr McLean is involved in the social media research studies and is collaborating on the Achieving Body Confidence for Young Children study. Dr Gordon is a Postdoctoral Research Fellow. She began her professional career as a primary school teacher before returning to tertiary study to complete a PhD at the University of Wollongong in Education/Public Health. Dr Gordon’s PhD involved the development, implementation and evaluation of an alcohol media literacy program for upper-primary school children. She joined the EMBodIED team at the end of 2017 to assist with the SoMe: Social Me project; a classroom-based social media literacy intervention for adolescents. Ms Natalie Tamplin is a Research Assistant for the EMBodIED research team. She completed her BPsyc (Honours) at La Trobe University in 2016. 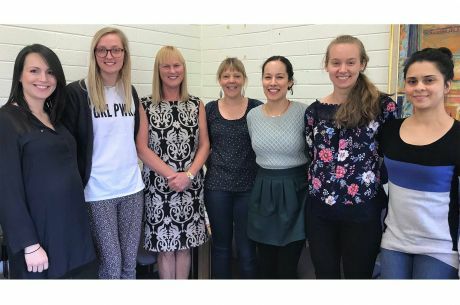 Natalie’s Honours thesis was supervised by Professor Susan Paxton and Dr Siân McLean. Her research focussed on the effect of appearance ideal social media images on body satisfaction in young people and examined the role of social media literacy. Natalie joined the EMBodIED research team in March 2016 to assist in the implementation of “SoMe: Social Me’ project. She is a current member of the Australia and New Zealand Academy for Eating Disorders and an Associate member of the Australian Psychological Society. Ms Joanna Doley is a current PhD student supervised by Professor Susan Paxton, Dr. Laura Hart, and Associate Professor Art Stukas. She completed her BPsyc (Honours) at Flinders University of South Australia in 2014, and joined the EMBodiED team in 2015. Ms Doley’s current work focuses on safe and effective ways to reduce the stigma of eating disorders in the community. She is a current member of the Australia and New Zealand Academy for eating disorders and the Society of Australiasian Social Psychologists.